What? Show preparation? You must be kidding; our show isn’t until next May 21-22! Yes, that’s true, but if we start thinking now about our show trees, our show can be even better than ever. Ann will lead us through what, for those of us lacking in discipline and foresight, tends to be neglected until the last minute. Ann is very well qualified to help us prepare for shows. She enters a tree every year at the prestigious California Bonsai Society show at The Huntington and has an extensive collection of stands which she generously loans to anyone needing one for our show. A quick reminder of John Naka’s feeling that the month of October is the “Second Best” time to transplant for most trees. It’s a good idea to check with our workshop instructors as to their opinion as to the plants you are considering. Ann Erb and Glen Griffin are researching new table coverings for our May Show. If you have constructive ideas for the coverings and backdrops, please contact them. They will be presenting their findings and suggestions at one of our board meetings. I met with Garden and Tea House representatives about making our Show weekend more of an Asian festival. We have always provided a tree and usually a scroll for the Tea House on that day. Other possible inclusions such as an additional display of a few bonsai on the platform leading to the Tea House (manned by Garden Staff), Ikebana and origami displays have been suggested. The Tea House has proposed offering tickets for the students who sign up for our Beginner Class to receive a complimentary cup of tea and refreshments during our lunch hour of the class. If you have other suggestions, please email me (tompostart@yahoo.com) with your ideas. D aniel conveyed to us some of Ryan’s enthusiasm and passion for bonsai. Ryan wants to raise the level of American bonsai with American species. The picture shows Daniel at Mirai, Ryan’s nursery, with lots of native western trees. As of the date of his presentation, Daniel had completed two of the cycle of three classes that he had signed up for. Ryan’s timing is quite different from what we are used to: In February Daniel potted for the first time the juniper he is working on. He did little styling other than remove unnecessary branches. 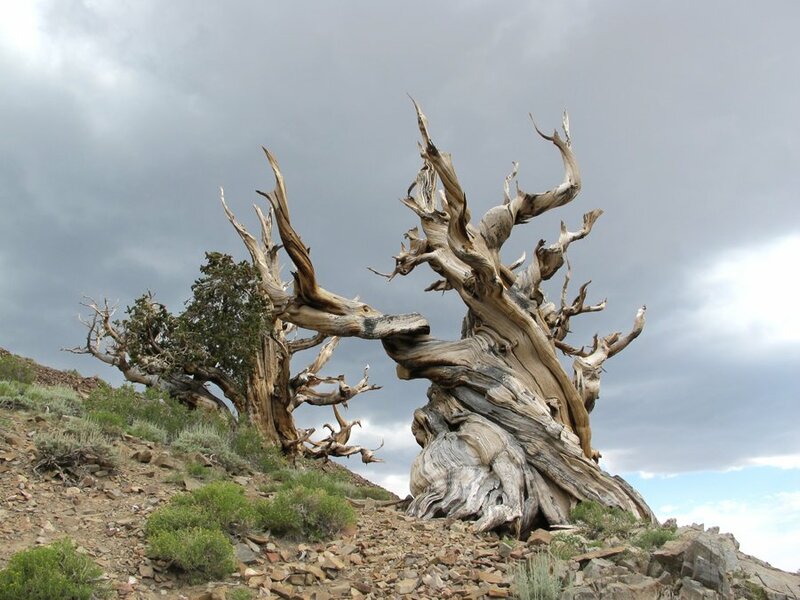 Junipers should not be bare-rooted completely and the top should not be pruned excessively because the tree needs adequate foliage to feed the roots. In July he created deadwood and did some pruning and carving. This month, October, Daniel will return to Portland to style and wire the tree. Ryan does not recommend pinching junipers; cut branches back to actively growing secondary branches instead. This should be done a couple of times a year, in early summer and early fall. On September 5, 2015, members of the Bonsai Club of Santa Barbara made a field trip to the Muranaka Bonsai Nursery in Nipomo. For the rest of the story, see Susanne Barrymore’s write-up posted to the Golden State Bonsai Society’s website. Thanks, Susanne, for the report and pictures. 12th Annual Bonsai Exhibition at the Resource Center at the Gardens of the World, 2001 Thousand Oaks Blvd. Hours are 9 AM – 4 PM both days with demonstrations at 11 AM Saturday and 2 PM Sunday in the Bandstand. Free Admission. For information, call Marj Branson at 805-373-1330. 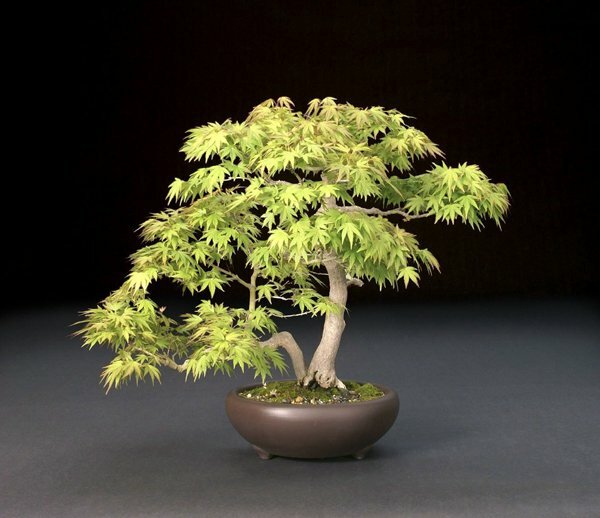 October 10: Bonsai Club Of Santa Barbara: 2nd Saturday Workshop With Ann Erb. 9:30 AM until 12:30 PM, Room 1 (not room 8), Goleta Valley Community Center. Presidio Pastimes: The Santa Barbara Presidio’s Asian American Neighborhood. 11AM-4PM, El Presidio de Santa Bárbara State Historic Park, 123 East Canon Perdido Street, Santa Barbara. Our club has been invited to participate once again and we will have a small display of bonsai. It’s free, come and check it out. Saturdays & Sundays, 10 AM–4 PM. Bonsai master Ted Matson leads an intensive four-session gakko, or school, in the art of bonsai. 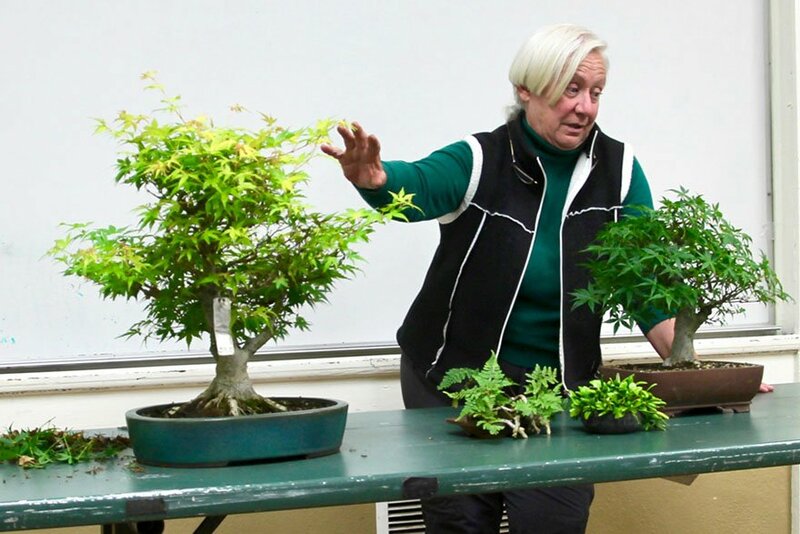 Geared toward beginners, the sessions explore the history of bonsai, basic tree botany and horticultural challenges, design concepts, training techniques, and bonsai display. All supplies and tools are provided, including demonstration trees for classroom practice. Huntington Members: $120, Non-Members: $135. Register online. 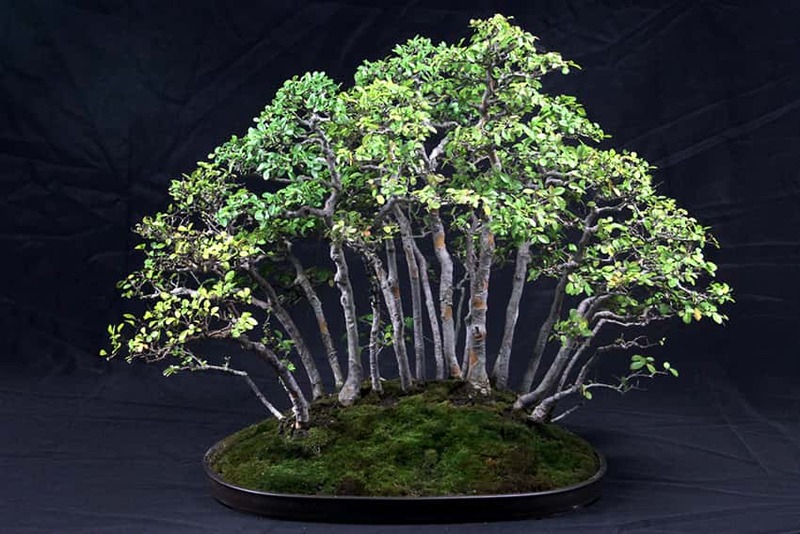 October 17: Bonsai Club Of Santa Barbara: 3rd Saturday Workshop With Guest Instructor. 9 AM until noon or 1 to 4 PM., Room 7, Goleta Valley Community Center. Lindsay Shiba, guest instructor. Bonsai Club Of Santa Barbara. Regular Tuesday evening meeting. Susanne Barrymore, topic to be announced. Holiday Party. Keith Mautino has offered to have the party at his new home. Details to follow.